Paris Prevention center Premium health check-up is one of the most complete check-up carried out in Paris. 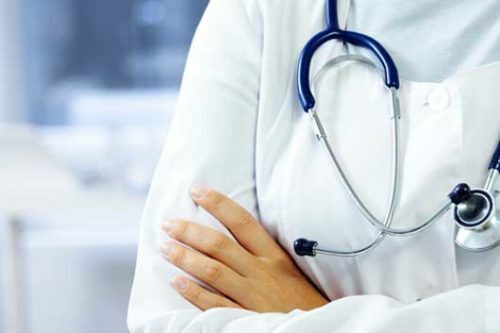 This health exam concerns particularly managers, Chief executive officers, staff of embassies and those,who wish to preserve their health capital. The Premium check-up is carried out by a medical team of 7 specialists doctors in one single place, in the center of Paris. Our team of professionals will completely take care of you in a cosy atmosphere, insuring you of a total required discretion. Doctor Soly Bensabat, recognized as an eminent leading practitioner in medical prevention, will personally report you a complete and confidential statement of more than 50 pages. This report will be handed to you within 48 hours. It is a real check-up made by a medical team of 7 experienced specialists of Paris Hospitals. They make a fully individualized health check-up and they point out the potential health problems to be taken care. Unity of time and place. All the medical exams are carried out in one time (4 hours), in a pleasant and reassuring place. We are at your disposal at any time to provide you advice and answers to any question. A regular monitoring and contact with our medical center is the best way to take care of your health. A thorough biological exam of several tens of blood tests completed as the case may be by other appropriate analyses. performed by a radiologist, Thyroid, Liver, Gall bladder, Bile ducts, Pancreas, Spleen, Lymph nodes, Kidneys, Bladder, Prostate, Uterus, Ovaries. A health record containing the synthesis of the results and their interpretation. You will also find a lot of personalized advice. Healthy lifestyle and prevention personalized advice : nutritional advice and anti-stress which allow to remain healthy and slow down the ageing. Vitamin advice. All the results are presented to you within 48 hours. The prosperity of a company also depends on its managers health. Managers and Chief executive officers check-up is the best way for the company to protect and optimize its CEO’s health benefits, the best asset for the company. Study after study, it is shown that medical prevention and first intention cares reduce the costs of health significantly and improve health and life expectancy. A focus on medical prevention would allow to save up billions of dollars, save many lives, people with chronic diseases would avoid pains and suffering. Paris Prevention Center suggests a thorough health check up and a range of customised check-ups to the companies that care about the results and the well-being of their collaborators. The results of the health check-up are strictly confidential and they are delivered personnally to the persons concerned. These health check-ups do not replace your doctor’s follow-up, they are complementary.